There is a 43-point gap between the Philippines and Laos in the last FIFA rankings. 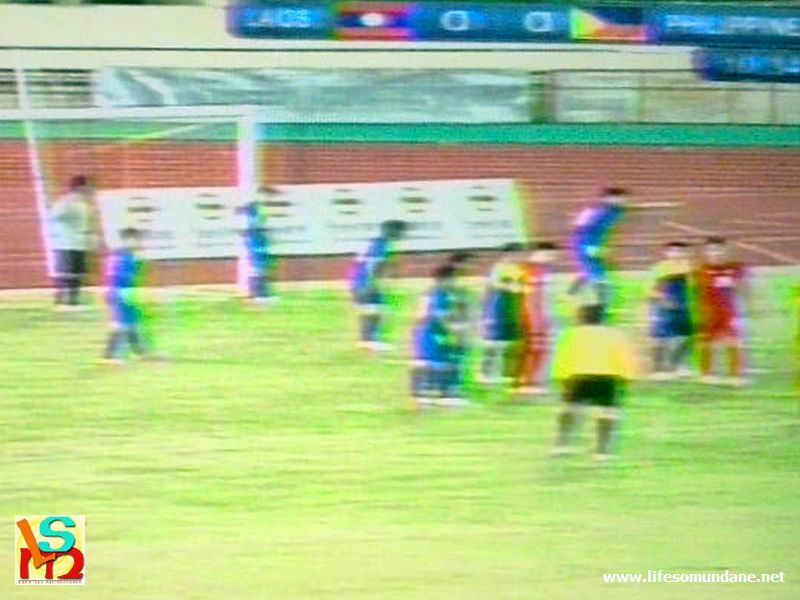 From a historical context, however, Laos had enjoyed six victories over the Philippines in an eight-match head-to-head, with two draws between the two and the Philippines never having beaten their Indochinese hosts. Make that seven wins, after Laos eked out a dubious 2-1 victory courtesy of two penalties. The first, conceded by Rob Gier in the 51st minute, was off a rash challenge by the veteran defender well inside the box. Gier did, indeed, get some touch on the ball; but with a dodgy referee and in that position inside the box, staying on his feet was probably the better option. If the first penalty conceded had some validity, the second was utter nonsense. 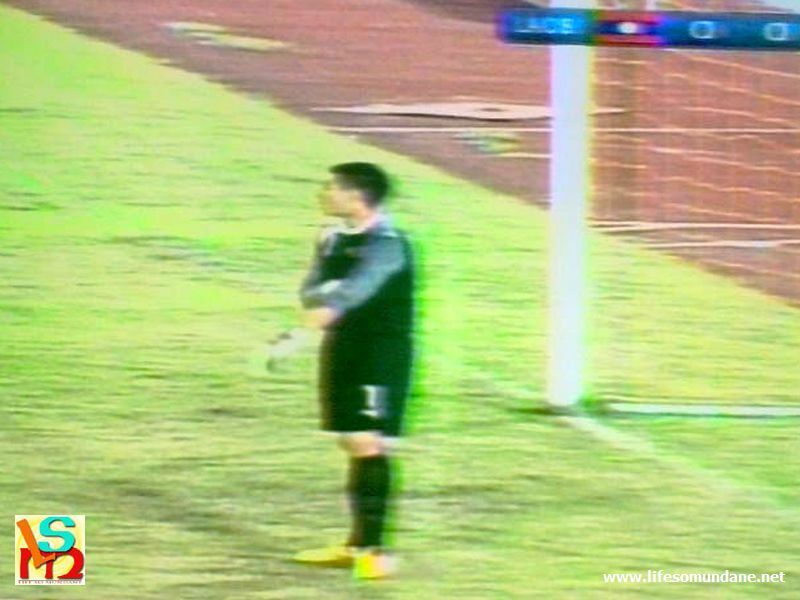 Neil Etheridge came rushing out in the 78th to defend a one-one-one and managed to palm the ball away before the Lao striker crashed into him. The penalty was mystifying. The Filipinos probably have every right to feel aggrieved by the turn of events in Vientiane. That said, the result was probably no more than what their performance deserved. Gier managed to pull one back in added time off a customary long throw from the left flank from Jason Sabio. It was always going to be a case of too little too late after a disjointed performance by the Philippines that made a farce of its scintillating victory over Singapore just last Friday. Perhaps, all the continental travelling was finally taking its toll. Indeed, one of the younger Azkals gleefully declared on Twitter, “Four countries in one day!” Albeit, another complained that he could not quite tell which country he was in anymore. Perhaps, in a perfect world, Singapore would have been the final stop after a two-match swing across Indochina. Indeed, Vientiane would have seemed pristine and esoteric after the glamour of Singapore. So, therefore, that the Philippine performance was something of a dour anticlimax after the heights reached at the West Jurong Stadium should not really be something of a surprise. Still, a young team that had not played internationals since two forgettable World Cup ties against China ought to have been – if not exactly fodder – then at least comfortable to deal with. The Laotians were underdogs in the physique department but passed the ball crisply and did not play with an inferiority complex. Despite this, they struggled to create anything of significance in the first half. The Philippines, although laboured, still took the initiative to their hosts without creating anything that unduly troubled the Laotian goal. Marwin Angeles sent Patrick Reichelt scampering down the right flank in the 17th minute; but Dennis Wolf’s header from the ensuing cross was way off. In the 22nd minute, it was the turn of Paul Mulders to send Chieffy Caligdong away down the left flank. The captain’s cross had too much in it and Mulders’ header was off-balanced. In the 28th minute, Stephan Schöck sent Wolf in with a diagonal cross that was marginally heavy. A little less power and Wolf would have opened scoring for the Philippines. That pass summed up Schröck’s night, characterised as it was by heavy final touches in stark contrast to his wizardry at the West Jurong. While the Bündesliga player’s quality was unmistakable, there were also moments – particularly in the second half – when he was trying to do too many things on his own. To be fair, Schröck was not the only player whose final touch deserted him in a forgettable night in Vientiane. The match was on record as an international friendly. It turned out to be – in the second half – anything but. The referee, it must be said, had more than just a little say about the melee that broke out midway through the second half. 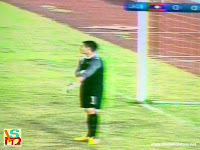 Whatever was said inside the Laotian dugout, it is almost certain to have had something to do about gamesmanship. 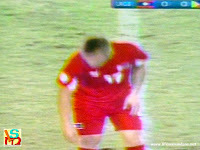 The fouls that the Laotians were committing after the restart were blatant to say the least. That the referee left them unpunished was criminal. In fact, it is not far-fetched to say that Gier’s rush of blood leading to the penalty had something to do with the slew of bad challenges by the Laotians that the tolerant referee allowed to go unpunished. Everything boiled over into a running battle after Sabio and Schröck felled a Laotian player and Etheridge came running out to join the fracas. 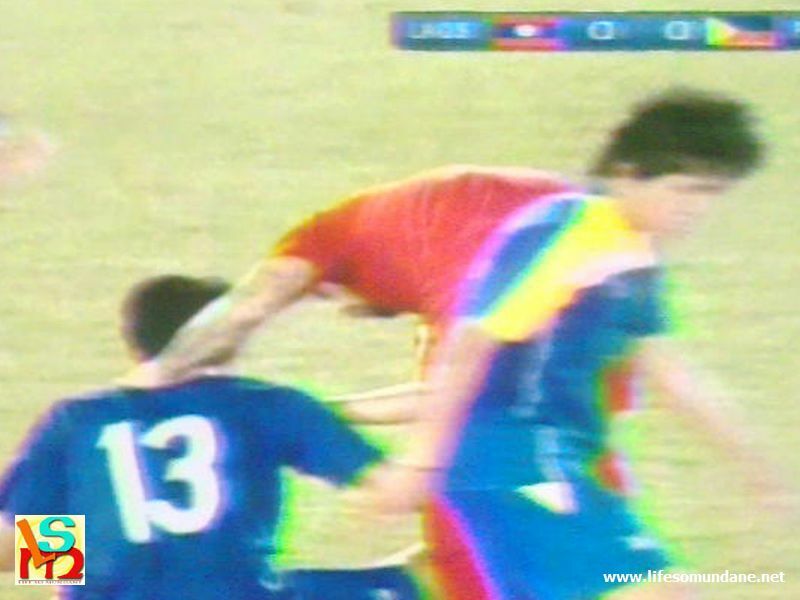 Misagh Bahadoran, who had his face smacked after a tumble with a Laotian defender, went for revenge and earned himself a red card for his troubles. The wonder of it all was that the match was able to resume. In keeping with the standard of officiating, no more than three minutes of added time were given even after the prolonged delays caused not only by the melee but also by injuries, feigned or otherwise. The petulance was also regrettable; and more so coming from a team supposedly on the way up. Even schoolboys get admonished by their coaches, after all, not to get mad but to instead get even. Given the Filipinos’ advantage in physique, that would not have been such a bad idea at all.